These two. We know right off the bat that they share a dynamic never before seen between a president and his vice. They complement each other so well that they would always make the right decisions. President Bert is a rock: intelligent and warm, he would make a great envoy and a charming negotiator. His impressive bottle cap collection is proof of his attention to detail and ability to relate to his constituents. Ernie represents the epitome of good ideas. As Vice President, he would bring so many good ideas for fixing the economy that “unemployment” would have to be a Word on the Street. 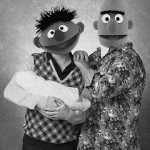 Ideas such as national Rubber Duckie day, which would boost nationwide rubber production, and the new Department of Equality, in which Ernie will take away anything Americans are not able to share equally, leading to redistribution. And we know exactly where they stand on gay marriage. A domineering personality, Big Bird would scare the living bejeezus out of any foreign diplomat. America wants access to the Persian Gulf? Ten minutes with Ahmadinejad, and Big Bird would make the Gulf into our exclusive swimming pool. Big Bird’s biggest strength is his seemingly naive tone and kind personality. 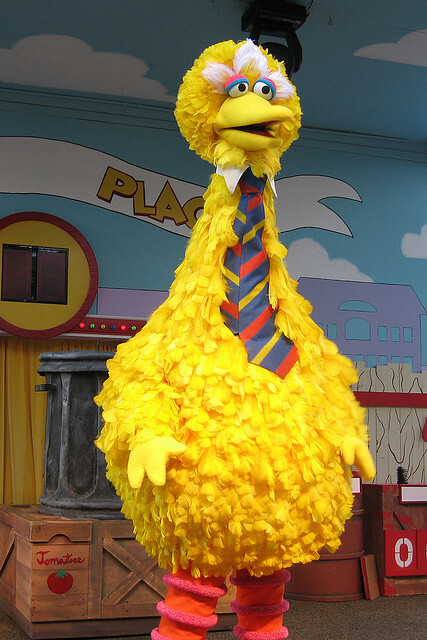 Like a sociopath, Big Bird employs Teddy Roosevelt’s international policy of speaking softly and carrying a big beak. No one messes with Big Bird.